Deepam Fellow is an award conceptualised to honour the people who have made a significant contribution to furthering the cause of education for less-privileged children at Deepam. This award will be given to 3 people every year. Always looks for ways to improve the class and make it more interesting – A typical conversation would start with how the current methods can be changed to make class better. She usually has some suggestions to make / ask . And importantly, in a few weeks, she takes the idea to completion / execution. It is an awesome feeling to see something executed! 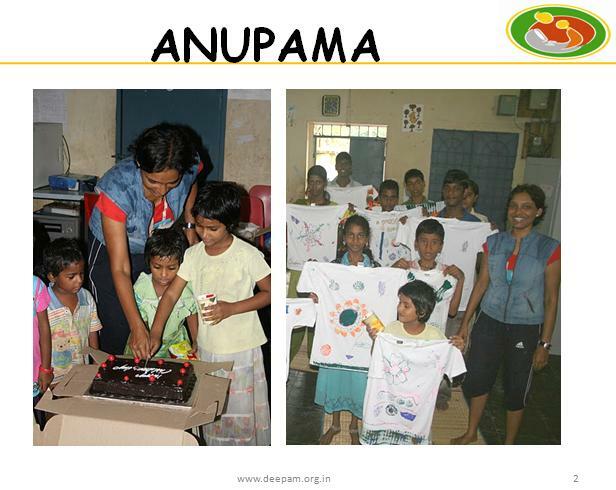 Deepam Class at pudiyador has been consistent, in a large way, thanks to Anupama and her team. His students call up every saturday to check with him if there is a deepam class. 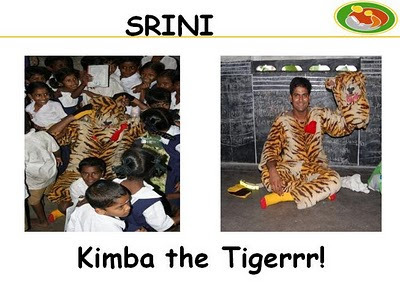 On every festival day, they call up to wish him – what more a teacher can ask for ? He made himself available to support anyone in Deepam in any possible way – From installing Computers in Pudiyador / VRS , to creating videos on Deepam, to keeping the buzz alive on Facebook and many more. He brought a ton of energy / passion to Deepam – Most visible during the Deepam childrens day, when he went to all deepam centres, dressed up as a tiger and helped with the tee shirt painting event !